I had a handson and an Unboxing review of one of Samsung's most talked about mobile phone "Samsung Galaxy S6 Duos Gold." I had wanted to purchase the mobile device from ebay but had a change of mind following the naira crisis. A first handons on the mobile device confirms that the device is of premium quality and houses alot of features. One of the greatest selling point of the Samsung S6 Duos gold is its' camera quality. A picture taken via the front camera of 5MP simply gave quite a number of my friends an experience to talk about and i can remember +Soki Briggs comparing the quality to that of his iphone 6 plus. The Samsung Galaxy S6 presents a radical redesign into the flagship Galaxy S line. With a renewed focus on premium looks and cutting edge specs, the Galaxy S6 sports a Quad HD display, an improved 16MP camera, and - finally - super-fast UFS 2.0 based internal storage 128 GB. The Galaxy S6 runs on Android 5.0 Lollipop with the company's proprietary TouchWiz skin on top, and it will be the first 64-bit Samsung flagship, coming outfitted with a homemade octa-core chip. Well i should not go into much details since we can have a look at the first unboxing video below. 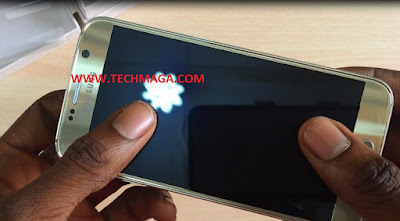 To run a quick one, the S6 Duos run a double Nano-Sim card and can be bought from Konga. For readers outside Nigeria, Yon purchase this from ebay. Mobile seems quite premium. Love your review though.